Comcast SportsNet Chicago is set to debut a new series titled "Bears Life presented by Xfinity," featuring an in-depth look at players lives off the field. 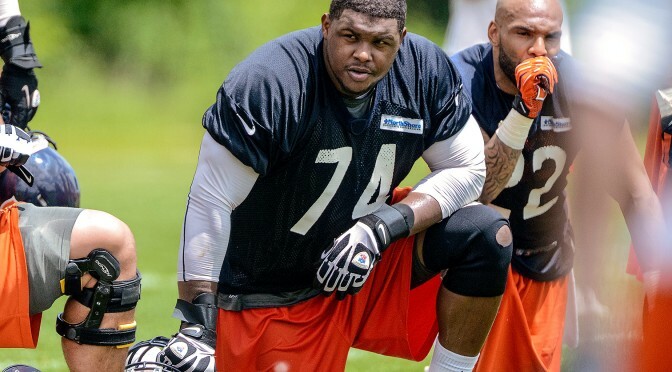 The inaugural episode of Bears Life, featuring two-time Pro Bowl offensive tackle Jermon Bushrod, will premiere tonight at approximately 9:00 p.m. on CSN. The debut of Bears Life dives into the personal life of Bushrod, capturing moments of his day-to-day life with his family, along with his foundation, Visualize and Rize, which raises money and awareness to benefit youth sports and education programs. Viewers are also encouraged to visit CSNChicago.com for additional Bears Life content. Fans can also catch the replay of Bears Life, featuring Bushrod, on the following dates/times: Sunday, Oct. 12 at 2:00 p.m., Tuesday, Oct. 14 at 9:00 p.m., Tuesday, Oct. 21 at 3:00 p.m. and Tuesday, Oct. 28 at 5:00 p.m.
New episodes of Bears Life will be announced at a later late. Previous PostShaun O’Hara Inducted Into Rutgers Athletics Hall of FameNext PostRookie center Russell Bodine is Impressing With a Take-Charge Approach.